Don't get scared now, but we are only 9 days away from Christmas! I also hope that all of our Jewish readers have their Manischewitz wine stocked up and ready to go for Hanukkah tomorrow night! I kicked off the road to the bum wine holiday season last week, but this week I am going to take it a step further to help get everyone in the holiday spirit and ready to celebrate! For those of you that have not started your holiday shopping quite yet, you still have until Monday to order your gifts with two day shipping to make sure you your items just in time for Christmas. Most of you know that after buying all sorts of gifts for your friends and family, you aren't left with much money to spend on the rest of your holiday cheer for the year. That means there is no shame in bummin' it for the holidays! Cheap wine, cheap beer, cheap alcohol, why not? I have made it to the big time! Before we get to this bummin' holiday season, I would once again like to remind all of you that there are still 3 days left to support and back The Grape Girls on Kickstarter! I officially backed their project and was named an official "Grape Guy" by The Grape Girls! 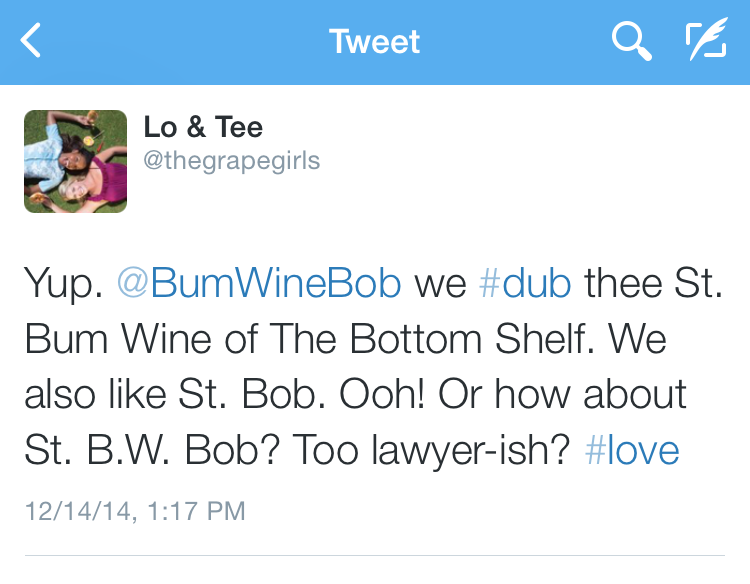 These girls make wine fun and I suggest that you check out their special guest boxed wine review made specifically for Bum Wine Bob below if you missed it! With the holidays just a few days away, there is little time to waste when making your holiday drink decisions. In my previous post, I highlighted some of the old holiday favorites; boxed wine, cheap beer, and 40's. These are all quick and easy decisions that can be made just in time before dealing with the stress that comes along with family during the holidays. Make the right choice this holiday season! 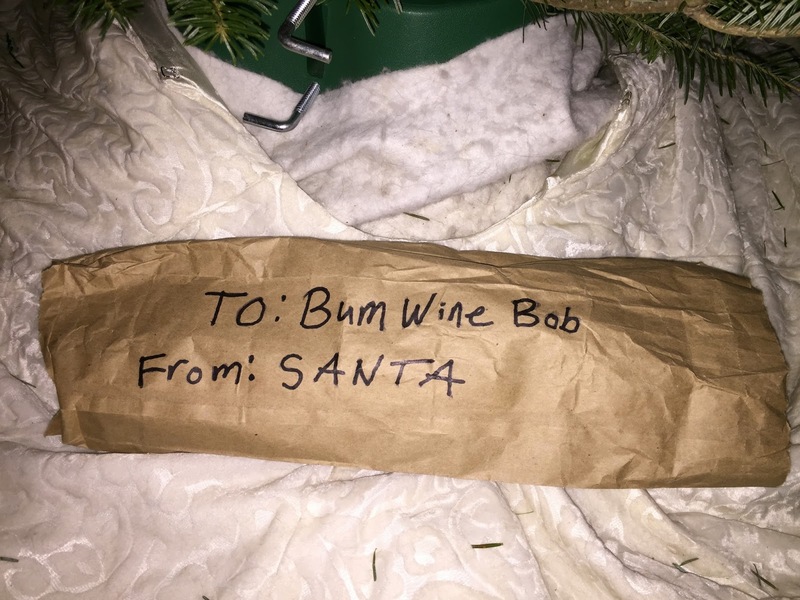 Always remember that if you are looking for a last minute gift for that special someone, you can't do any wrong with a bottle of fine bum wine. How about some Night Train Express, Thunderbird, MD 20/20, Wild Irish Rose, or even Cisco. Just imagine the look on that special someones face when they unwrap that brown paper bag and see a bottle of bum wine staring right back at them! Now that is the gift that keeps on giving! Celebrate the birth of Jesus with a MD 20/20! 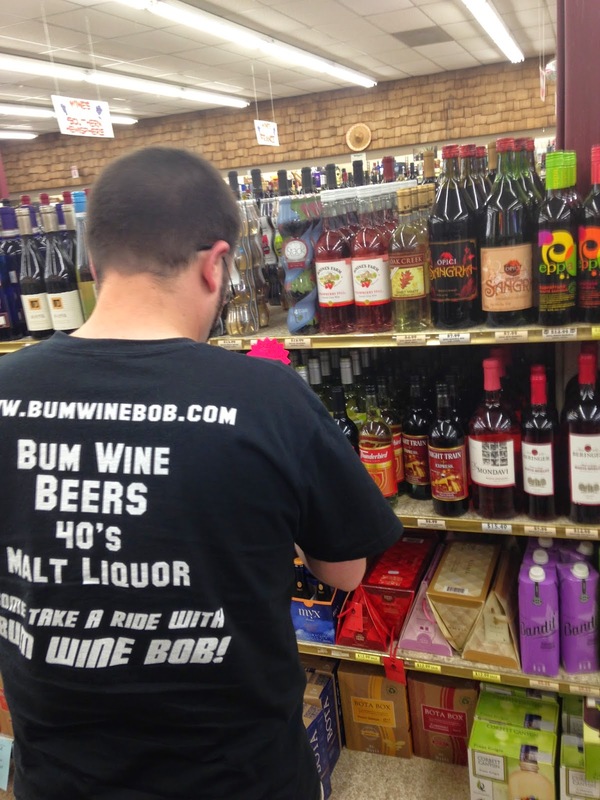 Within the next two weeks there will be a special 2014 year-end recap of the year in bum wine featuring some of the top Bumming with Bobcat moments from 2014. These will be from the beginning of the blog back in February of 2014 up until and featuring some of what's to come in 2015! If anyone has some of their own top bum wine moments from 2014 that they would like to share, feel free to drop me a line and I will make sure that it's featured for the word to read! Until next time, what's the word? Thunderbird!